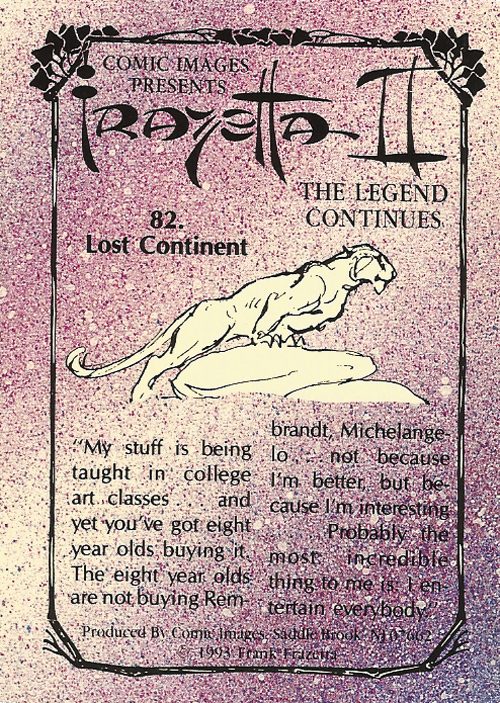 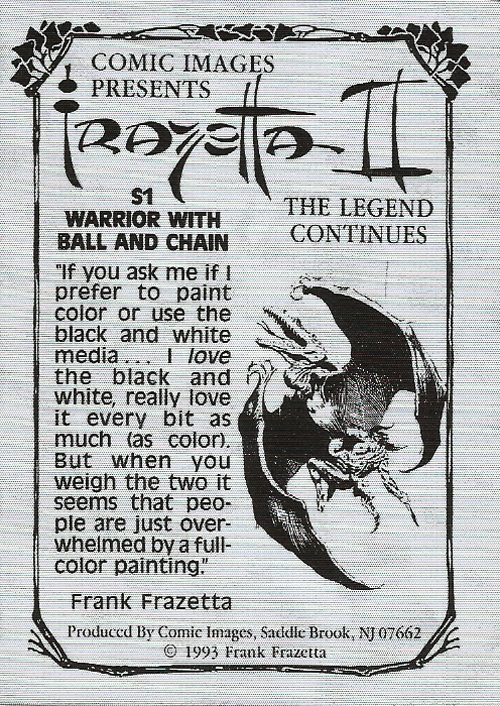 Frazetta II: The Legend Continues Trading Cards #81-90, and chase cards (1993) | 'TAIN'T THE MEAT… IT'S THE HUMANITY! 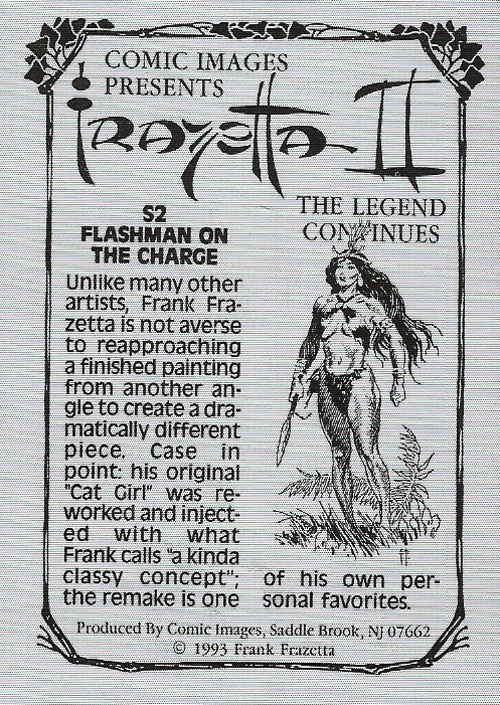 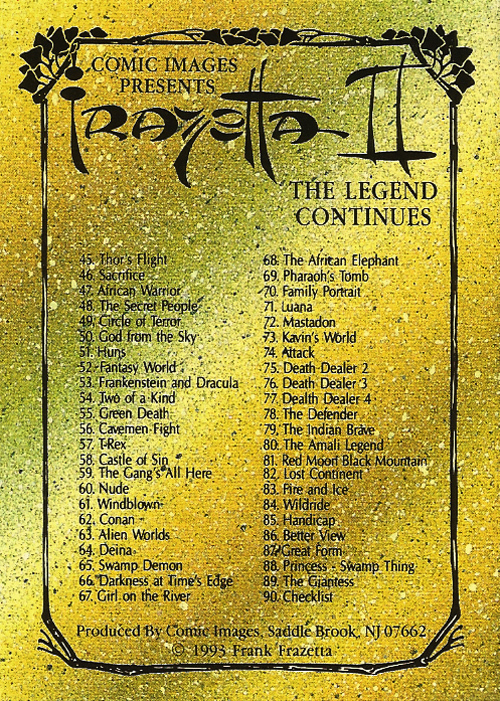 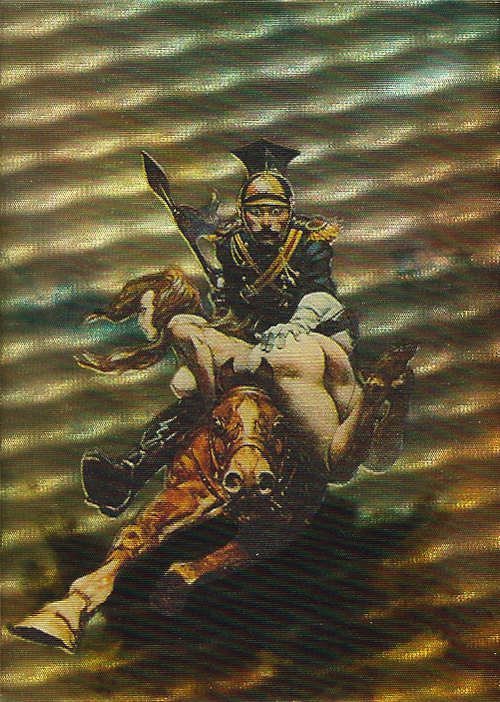 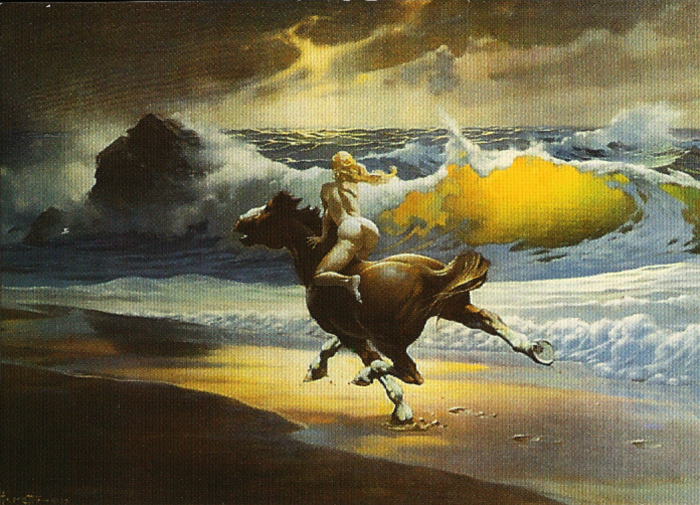 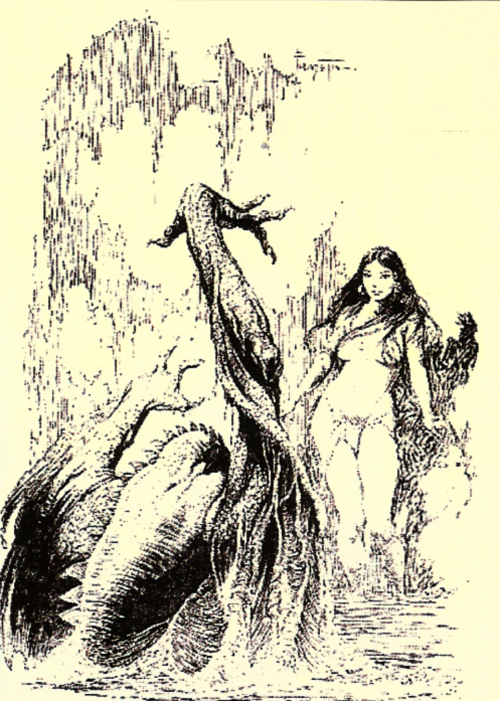 Here are the last batch of cards from Frazetta II: The Legend Continues, originally published by Comic Images in 1993. 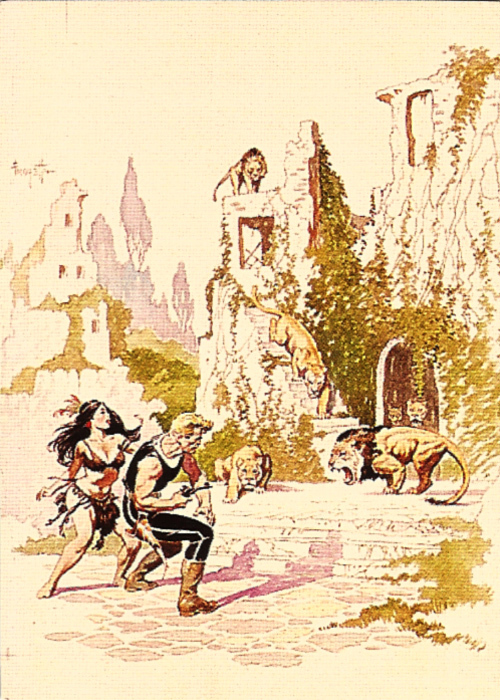 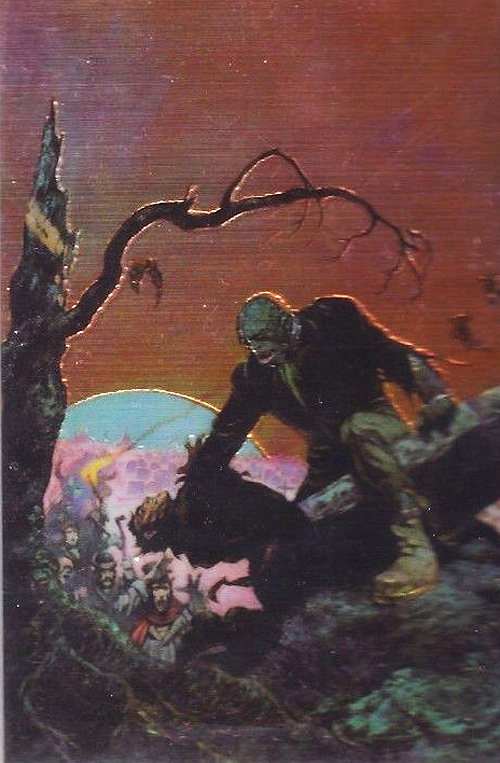 This set was the follow-up to an earlier collection, also by Comic Images, entitled Frazetta. 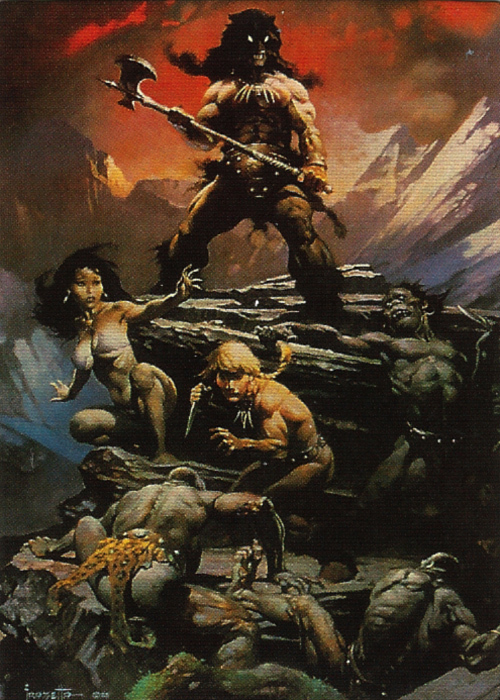 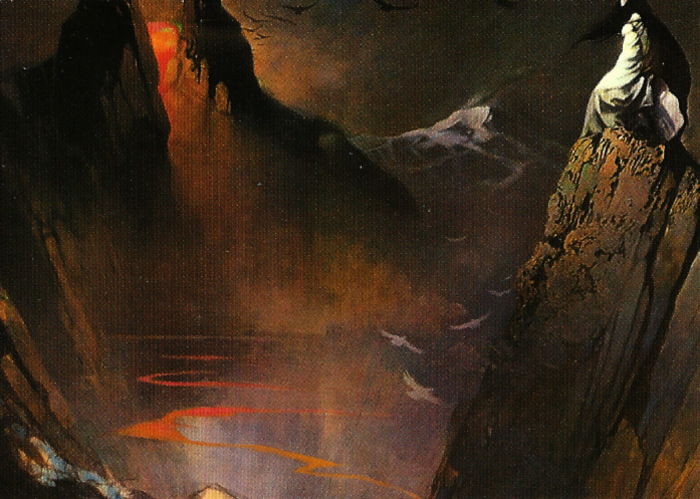 Like its predecessor this second collection paid homage to one of fantasy art’s biggest stars, Frank Frazetta. 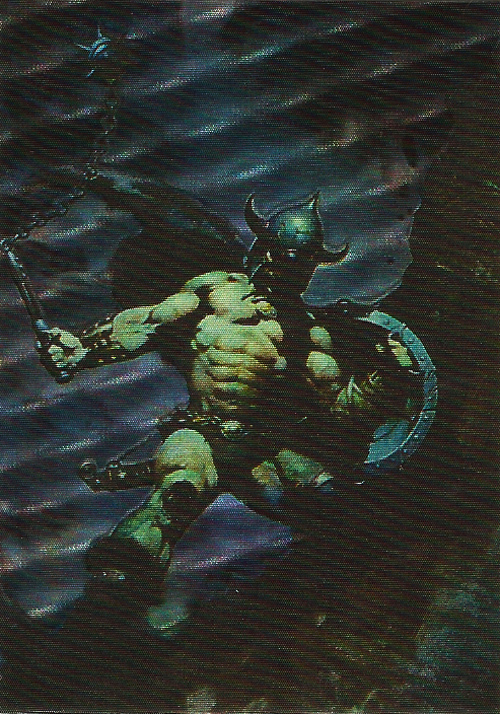 Frazetta II: The Legend Continues consisted of 90 2.5 x 3.5 inch trading cards that shipped in foil wrapped ‘blind’ packs of ten; also included in the collection were three chromium and three spectrascope chase cards. 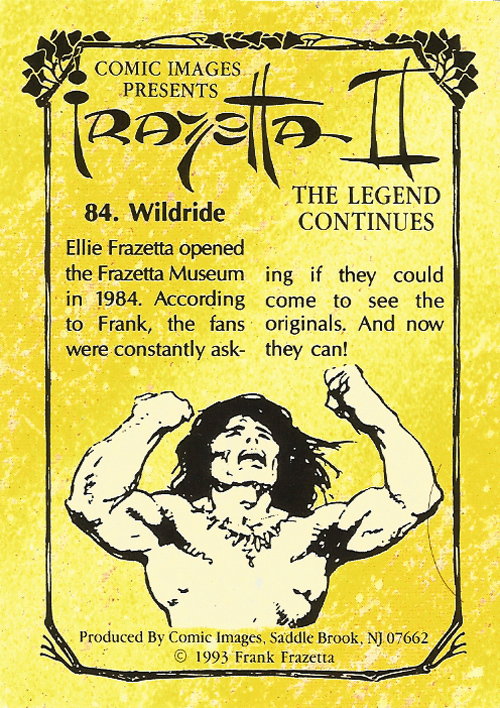 Each card featured a Frazetta painting or drawing on one side, with a short (and not very informative) caption and pencil sketch on the reverse. 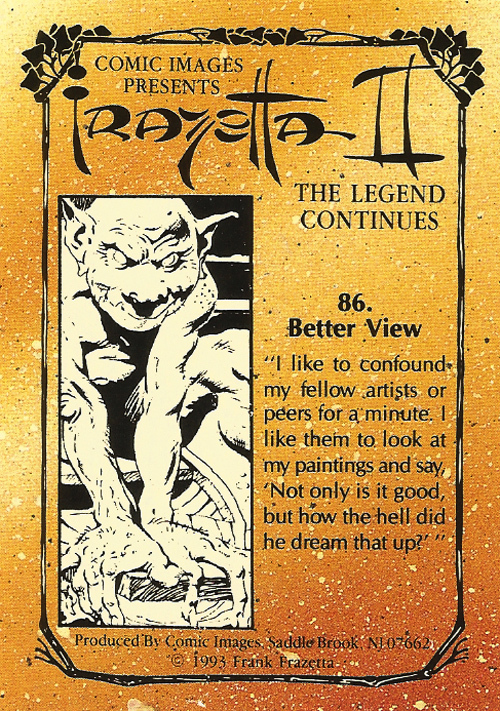 Sadly this last batch of cards is the least inspired of the collection. 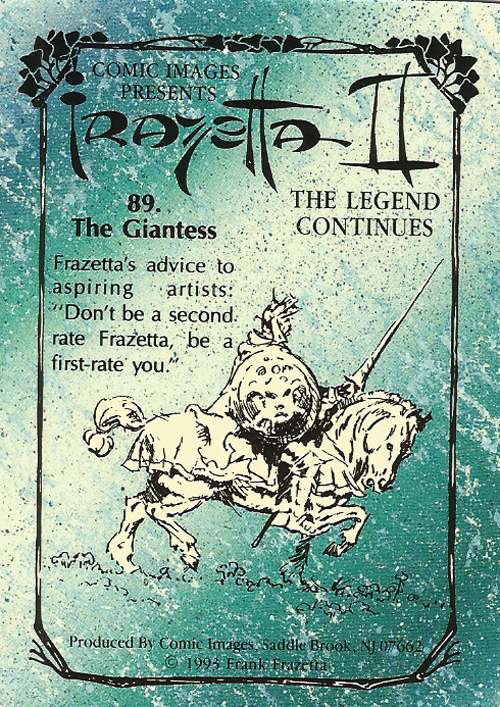 Apart from card #83, which featured the movie poster from Fire and Ice (an animated film Frazetta made in collaboration with The Lords of the Rings director Ralph Bakshi) the other cards are pretty dull. 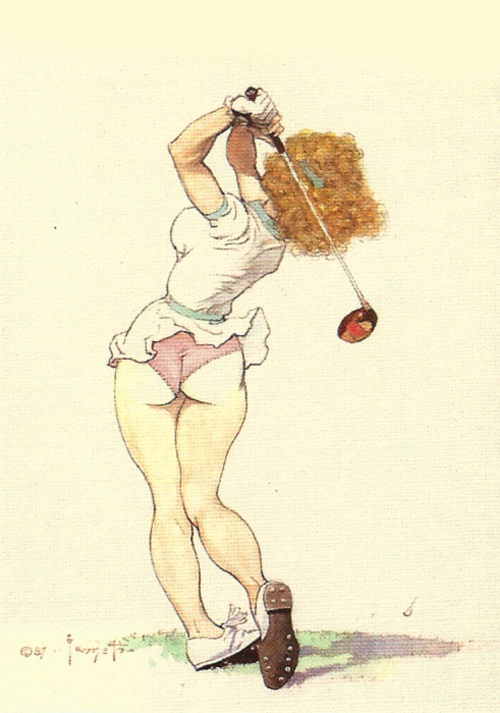 The cheesecake golf images (cards #85-87) are OK if you like that sort of thing, while card #89 is just plain odd. 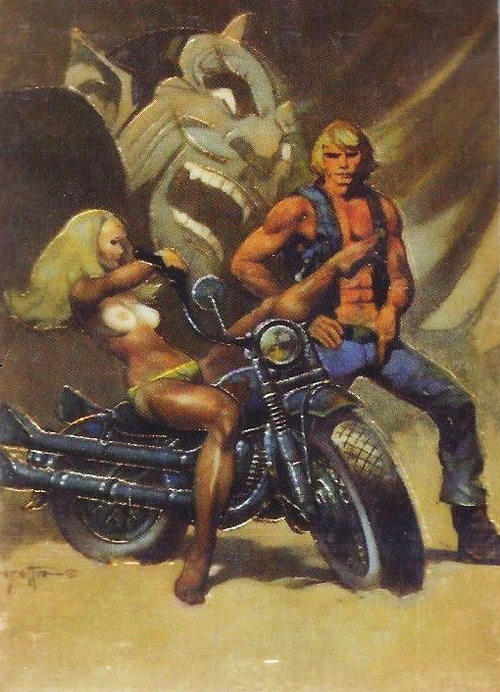 It very much feels as if Comic Images were scrapping the bottom of the barrel for this last batch. 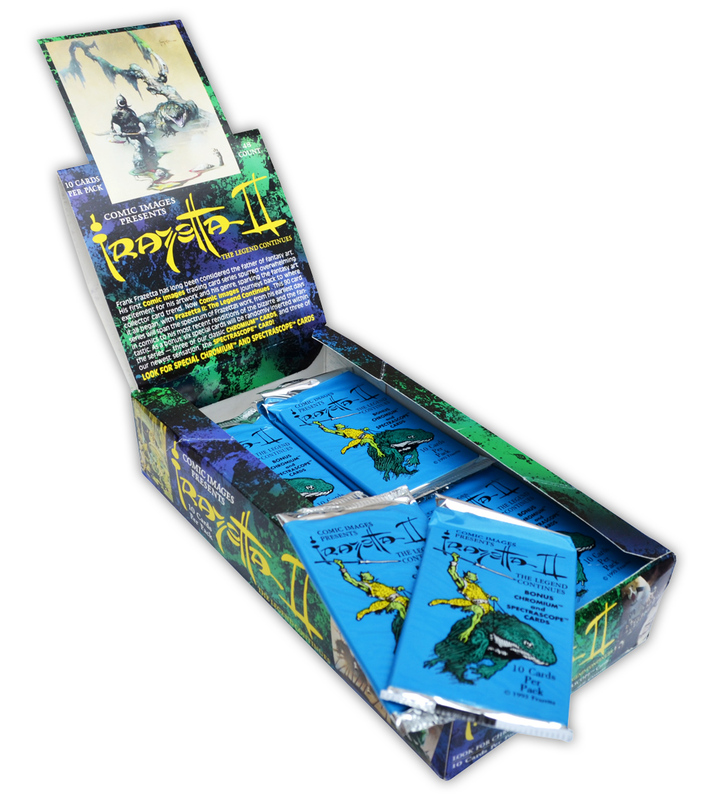 Also included here are the six chase cards — three chromium and three spectrascope (whatever they are). 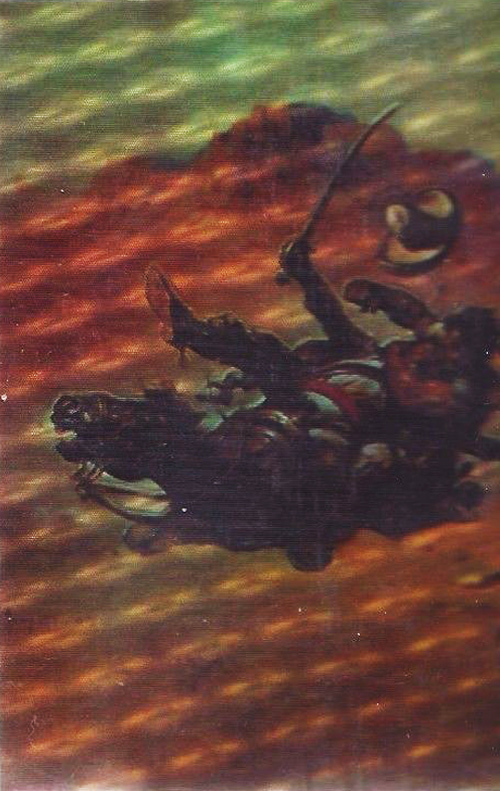 The chromium cards are printed on thick board and shine when they catch the light, while the spectrascope cards are quite thin and feature a bubble-like effect. 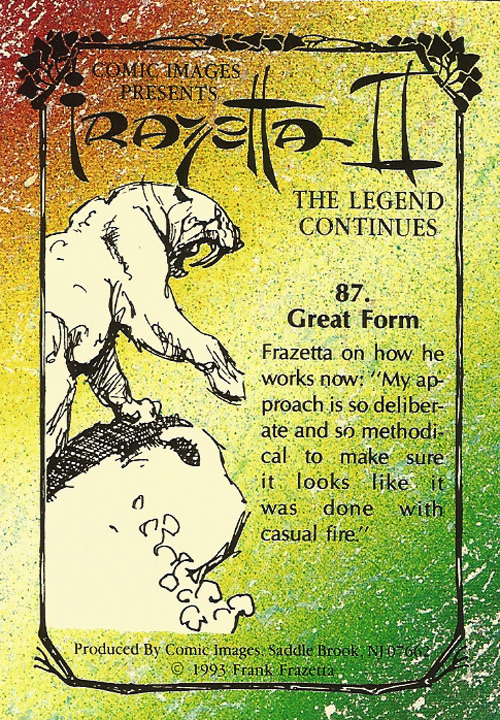 So, here are cards #81-90, and the chase cards from Frazetta II: The Legend Continues. 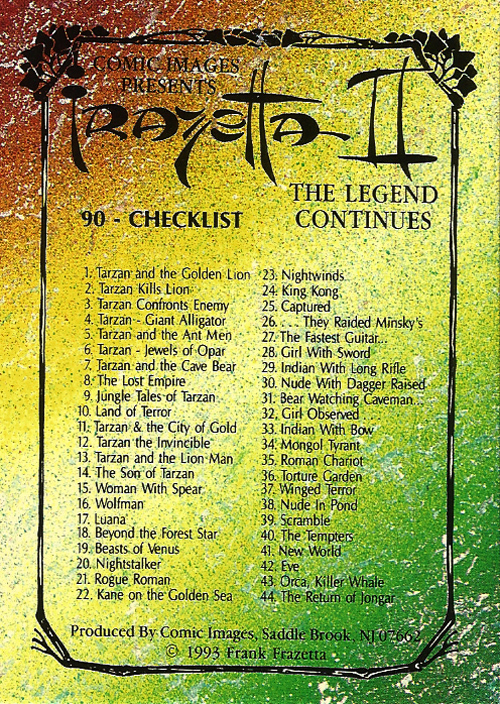 Click here for cards #1-20, here for cards #21-40, here for cards #41-60 and here for #61-80.